This is a region-free DVD+R without case or artwork. In German with English subtitles. Also known as Abenteuer in Wien. The scene is postwar Vienna. 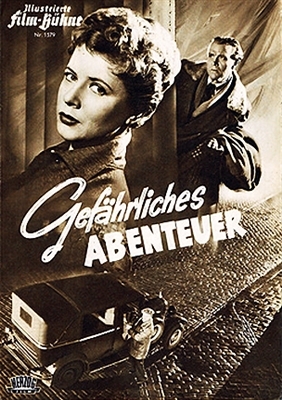 Displaced person Toni Sponer (Gustav Froelich), employed as a cabdriver, wants to leave the city but has no identification papers. When one of his passengers is murdered, Toni appropriates the dead man's papers and "becomes" one Jack Mortimer. Unfortunately, there are several shady characters around and about who want Jack Mortimer dead. An earlier version of this story with Anton Walbrook from 1935 is also available on the site, called Ich War Jack Mortimer.